The Royal Flying Doctor Service of Australia consists of the Royal Flying Doctor Service of Australia (ABN 74 438 059 643), RFDS Victorian Section (ABN 71 004 196 230), RFDS Central Operations, RFDS South Eastern Section, RFDS Queensland Section, RFDS Western Operations and RFDS Tasmanian Section. In this section, a reference to "Royal Flying Doctor Service of Australia", "RFDS" and "we", "us" or "our" is to all of those bodies collectively, except that in the paragraph entitled "Limitation of liability and disclaimer" such references are only to each of those bodies individually. The information and resources on this website ("Materials") are of a general nature only and are not intended to be used as a substitute for professional health advice. For a specific health problem, you should consult your doctor. Material may be updated or amended from time to time. While The Royal Flying Doctor Service endeavors to keep the information on this website accurate and up to date, we cannot guarantee that the website contains the latest or most accurate information, products or research. Where we have included or linked to materials provided by others (eg, real life stories or links to other sites), the views expressed therein are not necessarily those of The Royal Flying Doctor Service. Certain sections of this website (eg., the "donate.html online" page) use digital encryption and other security measures to help protect important information. Nevertheless, the Internet is not a secure medium and communications to and from this website may be intercepted or altered in transit. The Royal Flying Doctor Service does not warrant that the website is free from anything which may damage any computer which accesses the website or data on such computer. without our prior written permission or as permitted by the Copyright Act 1968. All requests and enquiries in relation to copyright must be in writing and directed to the Director of Marketing, The Royal Flying Doctor Service, Level 8, 15-17 Young Street SYDNEY NSW 2000. The Royal Flying Doctor Service owns a number of trade marks, including the original and revised Royal Flying Doctor Service logos and the words "Royal Flying Doctor Service", and it reserves all rights in relation to them. Without limiting our other rights, these trade marks must not be used without the prior written approval of The Royal Flying Doctor Service. Other product and company names referred to on this website may be trade marks owned by third parties. All requests and enquiries in relation to trade marks must be in writing and directed to the Communications Manager, The Royal Flying Doctor Service of Australia, Level 2, 10 - 12 Brisbane Avenue, Barton ACT 2600. The Royal Flying Doctor Service links to other sites that are not controlled by The Royal Flying Doctor Service. While care has been taken in providing these links, The Royal Flying Doctor Service is not responsible for the content on those sites and does not necessarily endorse their content. It is the responsibility of the web user to make their own decisions about the accuracy, reliability, relevance and correctness of information found. In general we only link to government or not-for-profit websites. To request a link be included from this website to your website, please email us indicating your website URL, the nature of your website, and the proposed link format. Due to the volume of requests we receive, we can only respond to those websites whose request is successful. a link be included from this website to your website, please email us indicating your website URL, the nature of your website, and the proposed link format. Due to the volume of requests we receive, we can only respond to those websites whose request is successful. The Royal Flying Doctor Service retains the sole discretion as to whether, and if so when, to include a link from this website to external websites. 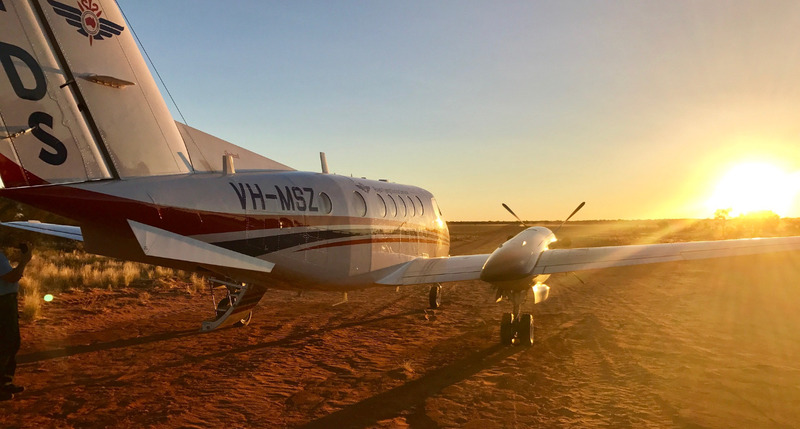 "The Royal Flying Doctor Service of Australia is a not-for-profit charitable service providing aero-medical emergency and primary health care services together with communication and education assistance to people who live, work and travel in regional and remote Australia." you must not place or phrase links in any manner that are misleading or that imply that The Royal Flying Doctor Service endorses, sponsors or approves of your website / product / service, or that you or your website is in anyway affiliated with The Royal Flying Doctor Service.